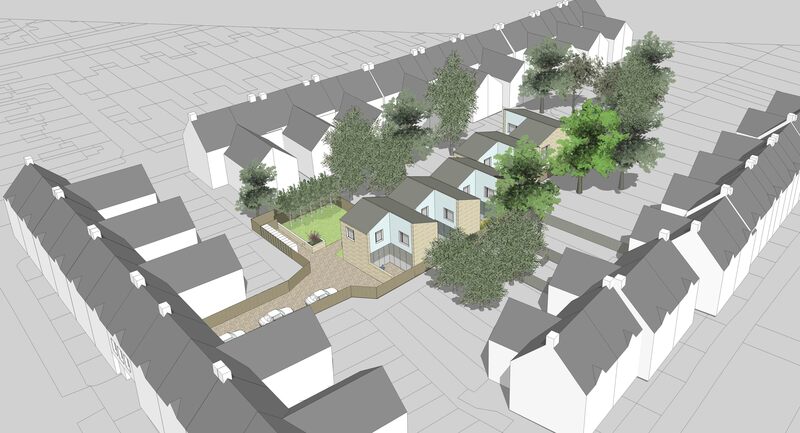 A Terrace of two storey 3 bedroom mews houses, each with a gable and indented porch. 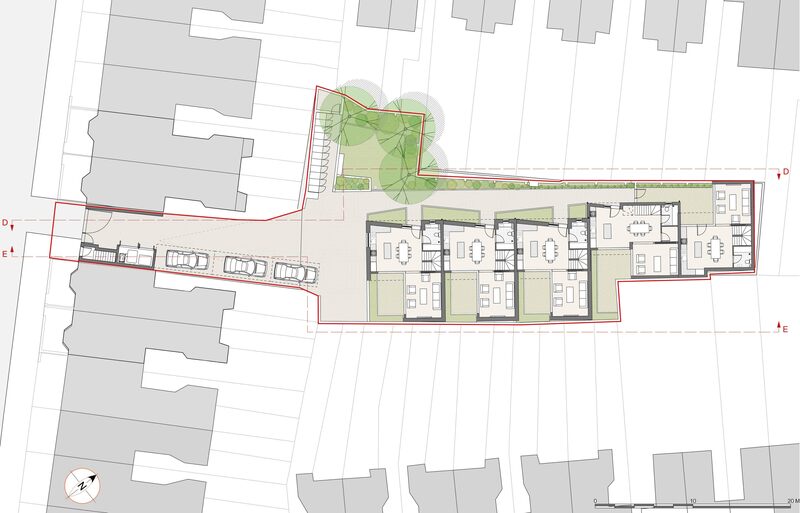 The L-shaped plan encloses a courtyard and outdoor room shared with both kitchen and living room. Inside and outside united with a consequent sense of space, unusual for small houses.